Okay, this is either one day late or 364 days early! 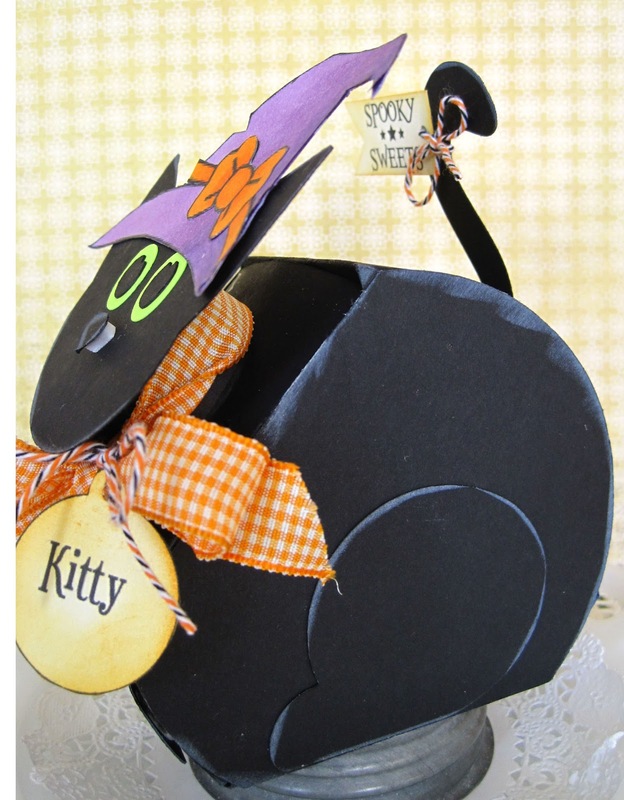 But when I saw the Crazy for Candy template and the cat that went with it, I couldn't resist doing a Halloween kitty. 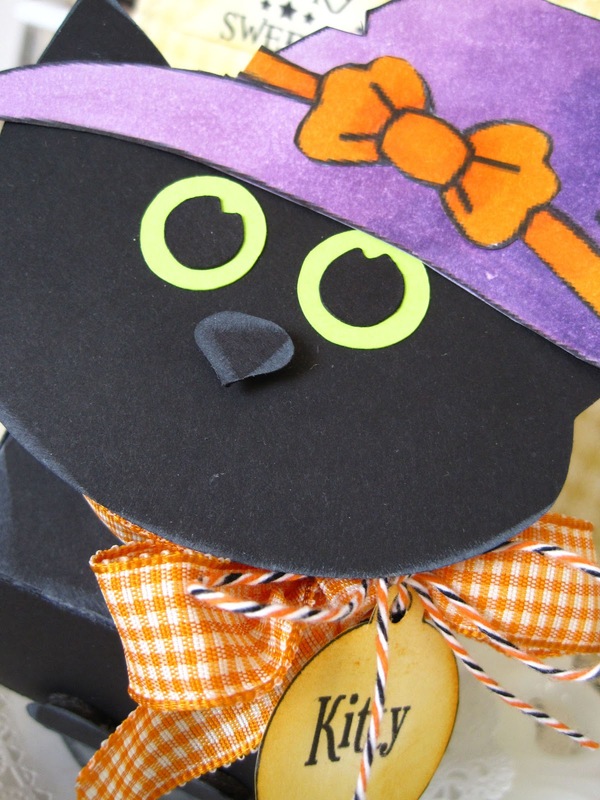 And besides that, I have a real-life Halloween kitty of my own - so it was a have to! Today is the November Release for My Time Made Easy. We've got all kinds of goodies for you see. The kitty tag is from the new Pawsitively Sweet stamp collection. 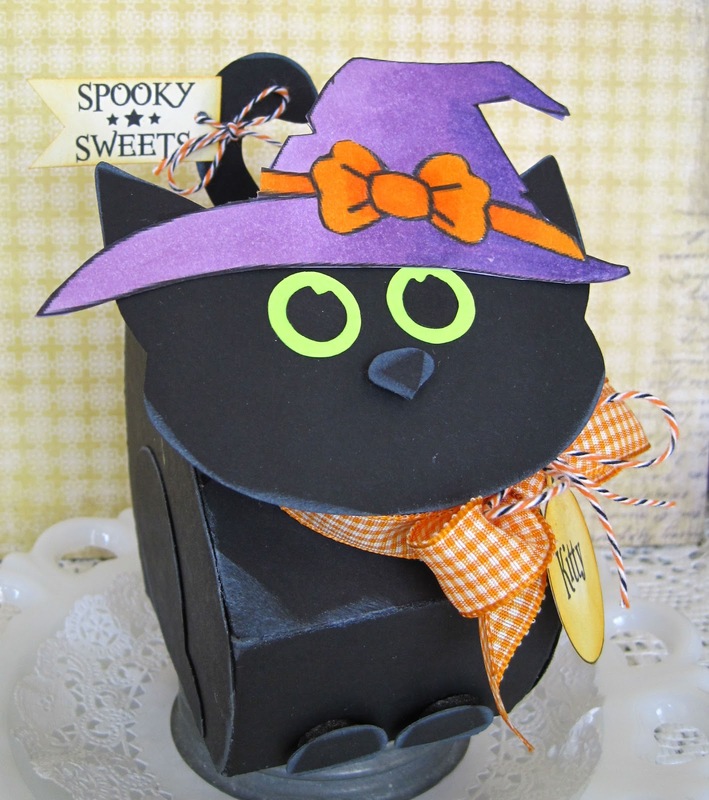 The Spooky Sweets sentiment is from Hauntingly Homemade Sentiments. Oh, and I almost forgot the hat is from the Digi Image Witch Way. I just used the hat portion and enlarged it quite a bit. I love black kitties. cute! Great creation and perfect for the occasion. Oh my word Lori! 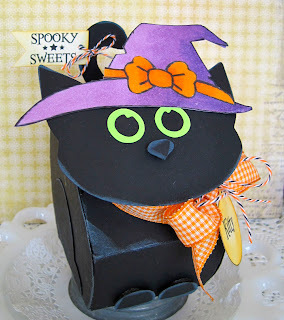 That kitten box is way too sweet, what a fab Halloween treat box, too cute!!! Ahhhh... This is darling. I just love your Black kitty. And your real kitty is pretty cute as well. I love your black cat and your cat creations is almost as wonderful as your cat! !